This is a guest post by Kaila Strong and the first of a series of guest posts that will be featured on the Bruce Clay, Inc. blog all week long. Kaila tackles niche social media strategy for small businesses. Read on and enjoy! Targeting your social media efforts only seems logical. You’re probably barraged with experts telling you to be on Twitter, Facebook, but don’t forget about your friends on MySpace, Bebo, Digg, Stumbledupon, Reddit, and how about forums and groups on other platforms, can’t forget those. Enough is enough. First, figure out your strategy, then find out where your peeps are, and finally: implement. I’m a geek for information: infographics, tutorial videos, and great blog posts that aren’t just regurgitated crap. That’s why I’m obsessed with Jay Baer of Convince & Convert. He constantly puts together blog posts that give you information you can actually implement and use in the future! 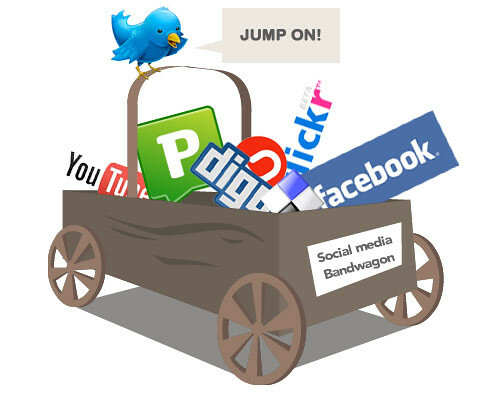 His post, “Develop a Social Media Strategy in 7 Steps”, is extremely helpful. He suggests you determine: your pitch, the point of all this work, relationship with the audience, how your audience is actually using social media, what’s your ‘one’ thing, how to be human, and how you’re going to measure success in order to build a social media strategy. Niche Social Media Sites, What Should I Look For? Alright, so now that you know your strategy you must find your niche sites. A study done by Pingdom looked at the ages of social network users, which can help you figure out which sites your prospects are on. The study doesn’t examine all social media sites of course, but doing your own research can help as well. A simple Google search for niche social media sites yields many resources that list out social media sites by niche. Find the sites listed for your industry and go a step further: examine the site as a whole to see how the community interacts, and then check the site demographics on Quantcast.com. How many visitors does the site get per month? What’s the age range of users on the site? Etc… This data will help you come up with a narrowed down, targeted list of niche social media sites you should consider having a presence on. Implement! Put together a social media plan. For my clients I usually give them ideas on what to do for a 4 to 6 month period with their social media marketing: sites to work on, messaging strategy, tools to help reduce time spent implementing, resources for information, blogs to follow to keep up to date with social media trends, and more. You should do the same. Work through your messaging plans, measure your results, figure out who will do what, get suggestions from experts on how best to manage your profiles, and stay up to date with the latest trends. I subscribe to Smart Brief for Social Media, my lifesaver when I’m having a busy week and can’t spend a lot of time looking for what’s hot in the blogosphere in my industry. They offer e-mail summaries of the hottest posts in your industry, and not just in social media. Whether you’re in banking, finance, marketing, or many others you can get a quick e-mail summary of the days blog posts. Don’t forget about SEO. Integrate the expertise you’ve acquired over the years about search engine optimization into your social media marketing. Use keywords when possible, even if it’s just by customizing the anchor text of your short URL (I use bit.ly to shorten my links). Link to your homepage, use alt tags on images, import your blog when possible, create a vanity URL when given the opportunity, etc… Look for ways to optimize your efforts. In March I presented a webinar titled “Targeted Social Media Campaigns that Work for SEO”, one in a series of webinars presented on a monthly basis by those of us at Vertical Measures. In this webinar I go more in depth with each of the steps above, and also give some very helpful resources in the blog post accompanying the webinar. Have some resources to share, list them in the comments below! Kaila Strong, @cliquekaila, works for link building services company Vertical Measures, in gorgeous Phoenix, AZ. As a social media marketer and link building strategist, she stays busy helping clients develop multi-faceted Internet marketing campaigns. ‘Build it and they will come’ is not the way it works typically. I do agree that you need to spend some time first discovering the who, the what, the where, the when and the why. When you have the data from those questions then you can begin to create a strategy for the type of content to share and where best to share it. Without doing the research, you won’t know how to reach the people you desire. I always suggest that clients pick their key SM sites and build on them. If you’ve got a good Facebook presence, a popular Twitter account and you’re running FourSquare (if you’re a bricks and mortar business), you’ve got solid foundations. Thank you Kaila for posting this great information and thank you to Jay Baer for enlightening us on his techniques. While I have been using social media sites for communicating with family and friend but after reading all this information I am now on a mission to use some of these sites to promote my business, ebooks and physical book. Thanks again to the both of you and Jay I can’t wait for you to publish a new version. Thanks Jay! I’ll be looking out for your updates, always love reading your blog. Great post Kaila. You nailed it! Thanks so much for the kind words about my methodology. I’ve actually tweaked it a bit this year. I’ll publish a new version soon. Cheers! For me, cellphones were the hype when social media was not around. My social life would pretty much be texting and scheduling after-school parties, or having a video game marathon at some friends. God I miss those days.